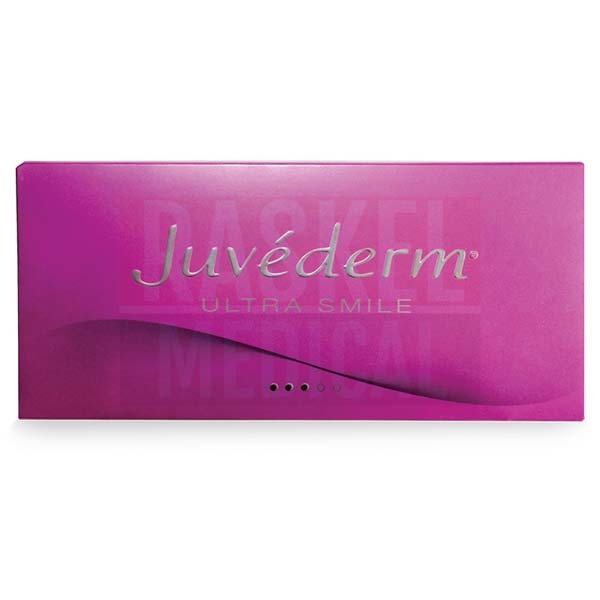 Juvederm Ultra Smile is an injectable lip volumizer made of 24mg/ml of cross-linked hyaluronic acid and 0.3% lidocaine. Juvederm Ultra Smile’s biotechnologically extracted and purified hyaluronic acid molecules are processed with Hylacross technology so that the former’s gel has a smooth consistency and can be used to easily plump and sculpt lips. What is Juvederm Ultra Smile formulated to do? Just like any other parts of the face, the lips age and become thinner as the number of cells dwindle. Additionally, some repetitive actions involving the lips, such as puckering them up to smoke, can cause tiny lines to form around the borders of the lips. Juvederm Ultra Smile is designed to immediately volumize and resize lips into the desired shape. As the lip borders are sculpted using this filler, fine lines around the lips are also erased. 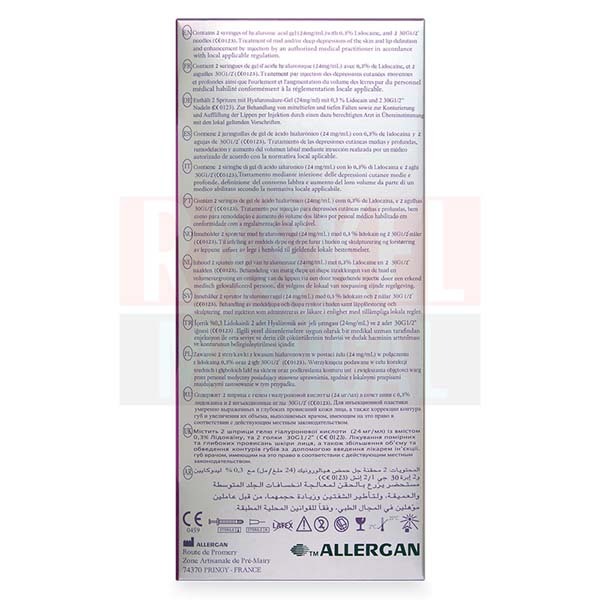 This lip volumizing filler is manufactured by Allergan, a world-famous pharmaceutical company that specializes in drugs, biologic products, and medical devices. This filler is made in Europe. When can it cause side effects? The most commonly reported side effects of Juvederm Ultra Smile are bruising, pain, redness, discoloration, and itching that can last for up to a week on the injected sites. Educate your patients on all possible side effects listen in the product pamphlet. This filler is suitable for all skin types. Juvederm Ultra Smile is indicated specifically for patients with thin, undefined, and asymmetrical lips. Besides that, clients with fine lines around the lips can also observe noticeable improvements following treatment sessions with this product. What is it made without? This implant is purified to be free from any potential contaminants, such as animal and bacterial proteins. It is highly safe to be used as a long-term injectable. The filler material is supplied in a sterilized syringe and needles in a blister pack. See below for more information about what comes in the box. What are the differences between the products in the Juvederm Ultra line? This lip plumping filler is part of the Juvederm Ultra range. Other implants in this collection—Ultra 2, 3 and 4—also have the same filler formulation of 24mg/ml of cross-linked hyaluronic acid gel integrated with 0.3% lidocaine. Each filler in the collection is formulated to target specific concerns, such as facial lines and volume loss. As Ultra Smile is specifically formulated for lines around the mouth and lip augmentation, it is not recommended to inject this filler into other areas. As well, the Juvederm range includes the Vycross collection, which is another line made of hyaluronic-acid based fillers. Similarly, the fillers in this collection are designed to target specific areas. What is the suggested usage? A non-surgical lip augmentation process can only be done by experienced and qualified physicians under strict aseptic standards. Discuss your patient’s medical history and desired lip shape and size for optimal treatment results. Begin the procedure by thoroughly sanitizing the proposed injection sites. This filler is formulated with lidocaine, which promotes a more comfortable procedure. Due to the sensitive area, your patient may require an additional anesthetic. You can determine whether an additional numbing agent is needed on an individual basis. Inject the implant into the dermis or the lip mucosa layer of the lip. Do not overcorrect, as it could create an unintended “trout pout” effect. Discard any leftover filler. Just like any other fillers in this range, Juvederm Ultra Smile consists of 24mg/ml of cross-linked hyaluronic acid and 0.3% lidocaine. Hyaluronic acid molecules are extracted via a biofermentation process conducted under tightly controlled laboratory setting. The particles are then processed using proprietary Hylacross Technology. This technology creates a smooth gel that creates natural-looking volume in the lips. 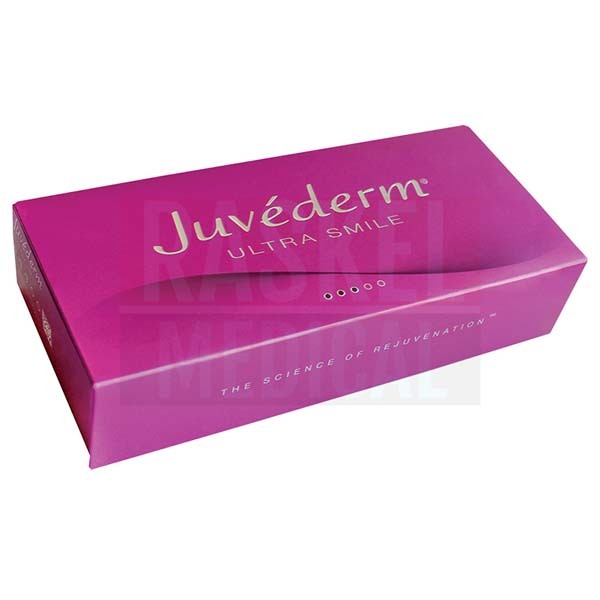 Each box of Juvederm Ultra Smile comes with 2 preloaded 0.55ml syringes, 2 sterile, single-use 30G½” needles, a patient record label, and a package insert. What is the duration of effect? Once injected into lips, this filler can last for approximately a year; however, this can vary on an individual basis. The body metabolizes hyaluronic acid-based fillers, including Juvederm Ultra Smile, but patients can choose to get more injections of this filler to retain their sensuous looking lips. What is the storage condition? 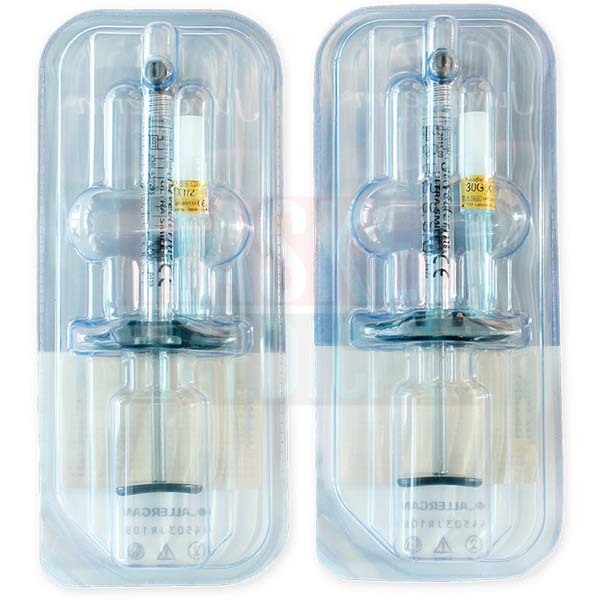 Store this lip volumizing implant in the original packaging at a temperature between 2℃ to 25℃. Refer to the packaging for the expiry date. Do not use this filler after it has expired.